We spend a lot of time talking to major health providers who use Epic. And our client services and analytics teams spend a lot of time working with health systems who use VisitPay in conjunction with their Epic implementation. We work with multiple health systems who use Epic as their EMR and system of record. Questions we hear frequently are: “Can’t I get this in MyChart?” or “How is this different from Epic?” Both are fair questions, but based on a misconception. Yes, you can receive patient payments in MyChart and in VisitPay. But the two solutions are based on fundamentally different ideas and philosophies, and they yield quite different results when it comes to patient finance and patient experience. So, if you’re a health system committed to Epic and wondering whether VisitPay is right for you, read on! In this post we explore five reasons why VisitPay adds tremendous value to your Epic implementation. In fact, we think the two make a perfect combination. We all know that the rise of high deductible plans and other pressures have shifted the financial burden of healthcare in the US toward the patient. Looking at data from our clients we see that post-adjudication patient financial responsibility has increased at double-digit rates annually over each of the last several years. We also know that patient payment rates are low, and that consumers treat healthcare bills differently from other household expenses. A report from the Consumer Financial Protection Bureau on debt collection experiences states: “the prevalence of past-due medical debt regardless of consumer characteristics makes this type of debt collection unique.” In other words, it doesn’t matter whether you’re rich or poor, old or young, of one ethnicity or another, medical debt is a prevailing issue that has unique attributes. VisitPay was started by passionate people who worked at Capital One (imagine the whip-smartest, most analytical people you know, and then imagine they’re also really really good skiers, and you’re getting close to picturing the typical VisitPay employee at our HQ in Boise). Our original project was to build the best business intelligence platform in existence to understand the unique financial dynamics of the patient as payor. That’s exactly what we did, and we believe our algorithms are the best at predicting how people pay, or don’t pay, their medical bills. But we also realized that incredibly good analytics were not in themselves sufficient. We needed a way of bringing that intelligence to life as an active part of the patient experience. 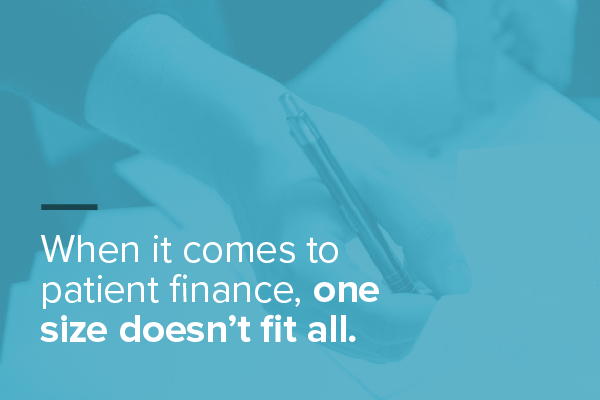 Fundamental to our approach is that when it comes to patient finance one size doesn’t fit all. Our founders learned at Capital One that when you treat people as individuals, based on very precise analytically derived segments, you’ve got a much better chance of building loyalty and keeping their business. We take the same approach with healthcare financing. The idea is to personalize at scale, which is what data-driven digital platforms like VisitPay are designed to do. You may see this as odd in the world of healthcare payments. 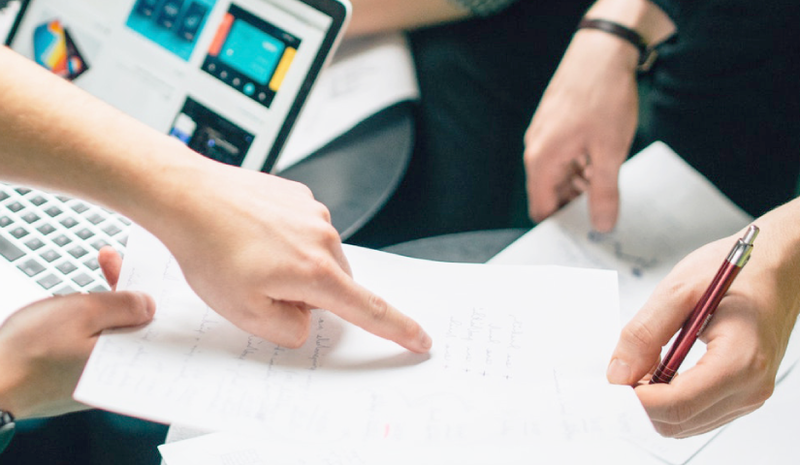 After all, it’s an approach straight out of a modern digital marketing playbook (in this article McKinsey calls digital personalization at scale the holy grail of marketing). But the rise of patient as payor has put the revenue cycle firmly on the front-line of the consumer experience. We think that digital marketing principles are entirely relevant to health system leaders who want to integrate the patient financial journey into the overall patient experience. The VisitPay patient portal is not just a way of digitizing patient collections, but it is a massive rules engine that allows the experience to be tailored to individuals based on both provider configuration and patient preference. We think that adopting modern marketing principles and technologies to tailor the experience is fundamental to increasing payment rates in the short-term, and ongoing provider brand preference in the long-term. As we build an understanding of patient payment dynamics, we believe that most patients want to pay their healthcare bills. As we know, people who don’t pay healthcare bills are quite likely to pay other household bills on time. And frequently the patient has been the recipient of a clinical experience for which they’re deeply appreciative. One of the important things that make patients happier about paying a larger bill is giving them the time they need to do it. When a surprise $500 expense is enough to put most Americans into debt, more and more patients are setting up longer finance plans in VisitPay to manage larger obligations. 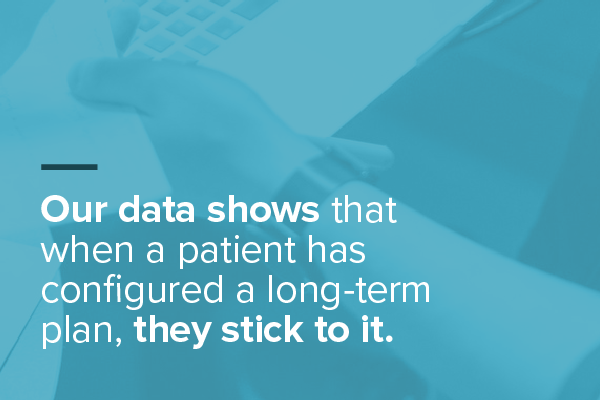 Our data shows that when a patient has configured a long-term plan, they stick to it. We see incredibly low levels of bad debt on self-managed plans. Along with a willingness to offer financing for 12 or 24 months, or even longer, health systems are increasingly experimenting with other consumer finance strategies. Charging interest, for example. Not much, but at least enough to cover your own cost of capital. This can be a difficult topic for non-profits because some feel it runs against the grain of their community mission. However, when patients are faced with a large bill they need to finance, they don’t have very many options. With average interest rates in the mid-teens, credit cards feel like a poor choice. VisitPay is designed for providers to explore and test different policies — interest rates, plan durations and anchoring/nudging strategies — to see what works for consumers, and for them. The rise of the patient as payor is having a negative impact on health system balance sheets, something that is a concern for almost all the finance leaders we work with. If you need to offer longer and more flexible payment terms then patient obligation remains in your days A/R for longer too. And, of course, patient payments are more doubtful than traditional sources of revenue, hurting the net realizable value of your assets. There are knock-on effects for a provider’s overall liquidity and ability to raise finance. This dynamic has led many health systems to turn to specialist balance sheet providers, who will advance a sum equating to some portion of the patient obligation in order to improve provider liquidity. But we’ve seen two deleterious consequences of such approaches. First, they are expensive and inefficient. Second, they break the patient experience. Suddenly the patient receives bills from a separate entity. They may not understand why. They certainly have no ongoing relationship with the financing provider. Harking back to some of our marketing concepts above, we think providers want to maintain a consistent brand experience across the entire continuum of care. It was in response to this pressure, and the poor existing options available to providers, that we teamed up with JP Morgan. Together we provide an affordable balance sheet and advance more dollars because we understand payment dynamics so well, all while originating and updating everything in a single digital experience that is always branded in the provider’s name regardless of where the ongoing asset is managed. Another thing that makes patient payments unique is the ecosystem that surrounds payment. We think it’s important to bring this ecosystem to life in a helpful way for consumers. Many of our clients are moving in this direction as they forge closer links with insurers or manage their own health plans. 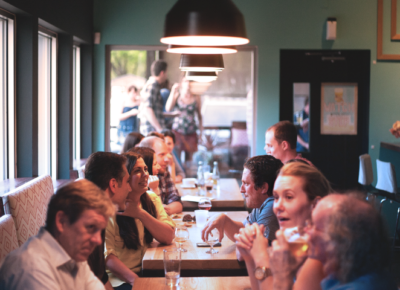 Part of the configurability of VisitPay lies in its ability to connect to other payment options and insurance information very easily and intuitively. For example, we present an Explanation of Benefits alongside visit information from the provider, making it easier for patients to understand their bill, and giving them confidence to pay. We also allow users to see their deductible information at a glance from within the VisitPay application. And we can integrate easily with HSA providers, like our friends at HealthEquity, to enable consumers to see how much is in their account and use it as a payment method for one-time or recurring payments. Finally, integrating back into the health system is as important as integrating out into the broader ecosystem. We work hard to present each patient with a single, consolidated monthly bill. It’s like getting a credit card statement. And we do that regardless of the complexity or number of systems at the back end. 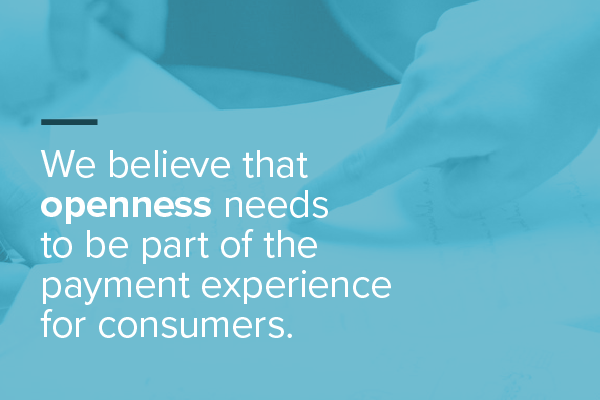 We believe that openness needs to be part of the payment experience for consumers, and that by making information transparent and giving people options they will be more likely to pay, and more likely to pay more. So, what happens when you bring these five approaches to life in the VisitPay platform in conjunction with an Epic implementation? Outstanding results. St. Luke’s Health System was just named one of IBM Watson Health’s top five large health systems in the country. Watch their finance and revenue cycle leaders describe how they’ve seen patient payment rates increase 30%, patient satisfaction increase 50%, and administrative costs decrease 70% by using VisitPay with Epic. We look at the world differently, and with laser focus on the patient as payor. I hope this read has helped illustrate how and why. If any of these reasons have resonated, let’s chat. If you want to see us in action, schedule a demo. 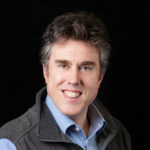 Will is the VP of Consumer and Client Marketing at VisitPay. 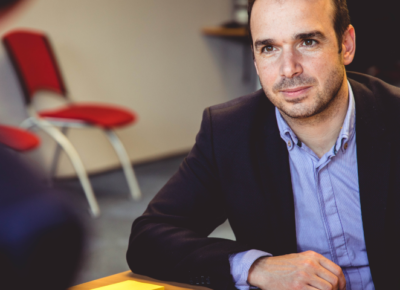 A former marketing VP at IBM, he’s now turning his twenty years marketing and consulting experience to help push the envelope of financial health for both health systems and patients. Will hails from Banbury, Oxfordshire and never shies from an opportunity to use his British slang.